When Stone announces a new IPA I jump at the chance to try it. While it may sometimes seem as if there are enough IPAs out there, breweries always manage to find some unique way to explore the style. 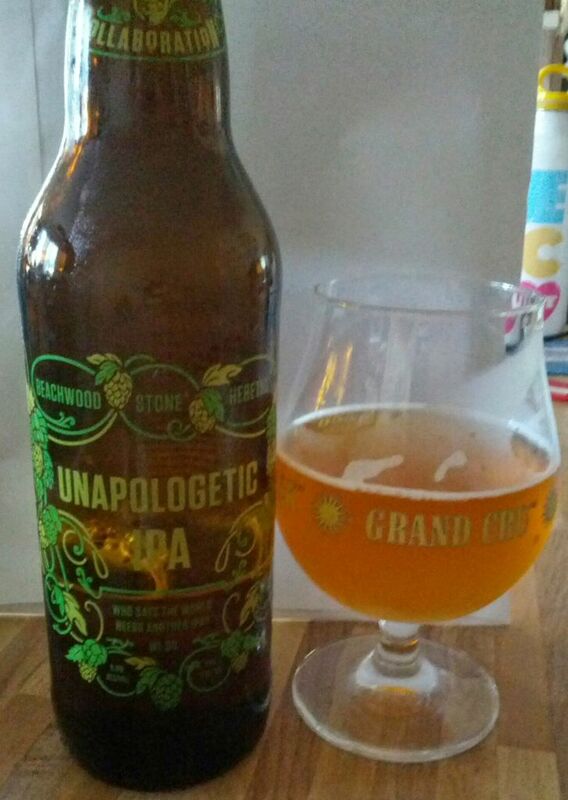 For this specific brew, Stone decided to explore some new varieties of hops to give this beer some flavors that you probably have not experienced before in an IPA. I know I had a difficult time describing this beer. As you can see, this beer pours a nice golden color very similar to the Enjoy By line from Stone and the Green Bullet from Green Flash. The aromas do not linger very long but if you give it a nice sniff right away or after a little shake you will notice some bright tropical fruit and melon aromas. Many of these same flavors come through nicely in the beer itself, with delicious flavors that remind me of ripe fruit. To me it tastes like the sweetest cantaloupe you’ve ever tasted with some hints of ripe peach and pineapple. Though this is a lightly sweet brew, it is not too much. The sweetness is nicely balanced with a medium level of bitterness. I had to wait until I opened my second bottle of this stuff to give it a rating because the flavors were so new and different. When I opened the first bottle I did a short video explaining my thoughts on this beer and as you can see below I was a bit at a loss for words. In the end this is a very satisfying IPA that explores flavors I hadn’t tasted before in an IPA. Pick up a bottle if you see it and see what I mean. Did you taste any different flavors than the ones I described in here? Let me know in the comments. Main Street brewing has been around even less than Brassneck. They opened in June of this year so they had only been open a month when i stopped by. They weren’t as crowded as Brassneck but still had a good number of people around when I stopped by. 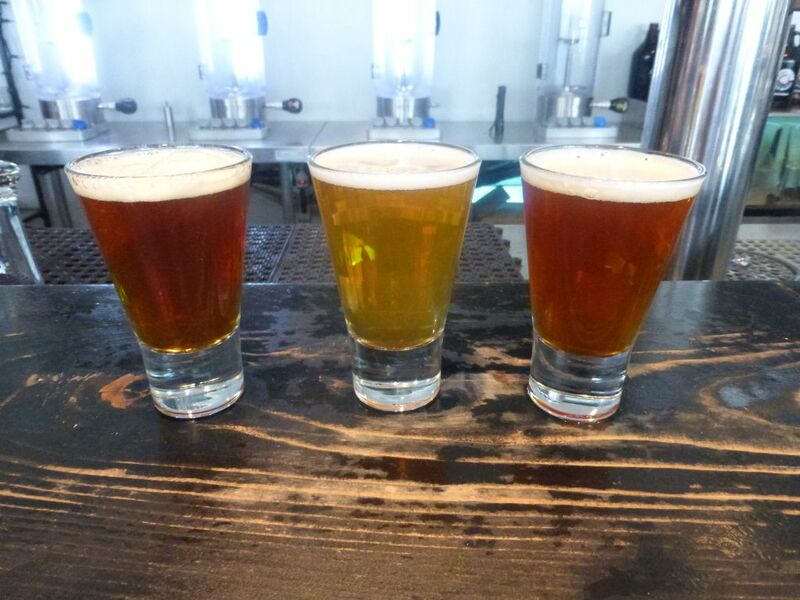 Main Street differentiates themselves with their four casks. Unlike most breweries that can only have one beer on cask at a time, they have room for four different casks. I tried the pilsner, session IPA on cask, brown ale on cask, southern hop IPA, and brown ale on tap. The pilsner was pretty much what you would expect from the style. The Session IPA on cask had some added Australian hops. It was a nice light citrus beer. 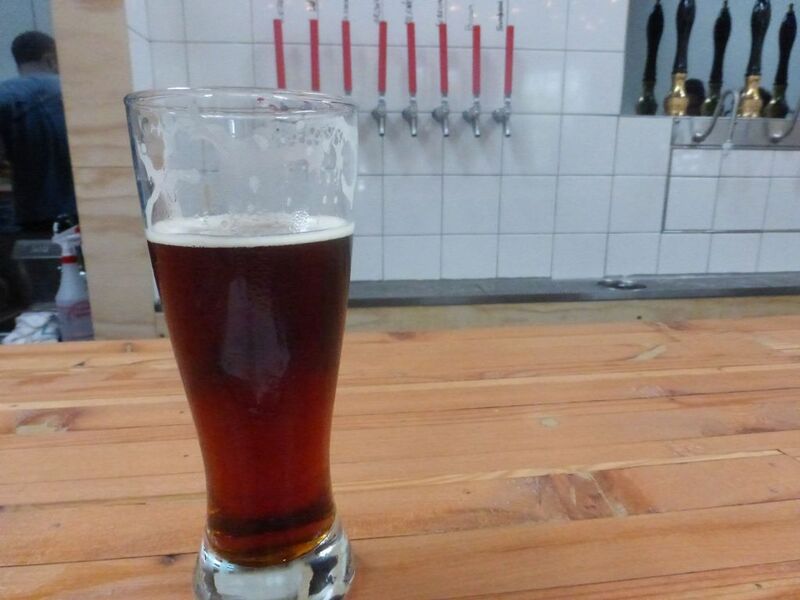 The brown ale on cask was very delicious, perfectly smoothed out for an easy-drinking beer. I compared it with the tap version thanks to someone sitting next to me and noticed immediately the added bitterness and hop flavor from the tap version. The regular brown ale had just enough hop flavor that it was pretty much a delicious ESB. I ended up ordering more of this one once I was all done. Finally, the southern hopped IPA was pretty mellow with a light amount of bitterness and some small citrus flavors. It was a bit lighter on the flavor than I might expect from a 6.5% IPA but it wasn’t bad. I still preferred the brown ale with the perfect balance of malts and hops and overall great flavor. Main Street’s four casks help draw people back into the brewery regularly. Casks tend to only last two days before they have to be taken off so with four different casks, there are many ways they can mix things up to get people to keep coming back. I was not expecting to like the brown ale so much but I am always glad to find a brown ale that hits the right flavor profile. Considering the how short this brewery has been open, it was quite impressive. I hope they stick around. CORRECTION: An earlier version of this post indicated that the brewery was older than Brassneck but they were in fact opened more recently. Thanks to Mike for commenting and clearing that up. Brassneck hasn’t even been open a year (they first opened in October of 2013) and yet they felt like an established brewery from the selection and atmosphere. The look and feel of a place really does make a big difference. Brassneck was number 4 on my tour and I was ready for something to excite me. Thankfully I found something here. While at Brassneck I tried the pale ale, white IPA, passive aggressive dry-hopped pale ale, and inertia 2 barrel aged stout. The pale ale was pretty standard with a heavy pine flavor and a respectable malt background. I’ve never really grown to like this style so it didn’t do much for me. The White IPA had a nice bright citrus flavor that bordered on being fruity. This beer used a special new hop called sorachi ace that gave it some lemon and herbal flavors. The Passive Aggressive Dry Hopped Pale was my favorite of the bunch. Coming in at 7% it might as well have been an IPA. The beer had some solid pine/citrus flavors that reminded me of the west-coast style of IPA. I was so impressed I had to order some more of this one before I left. Finally, the barrel aged stout was listed at 11%. It had some great flavors but was also pretty boozy. 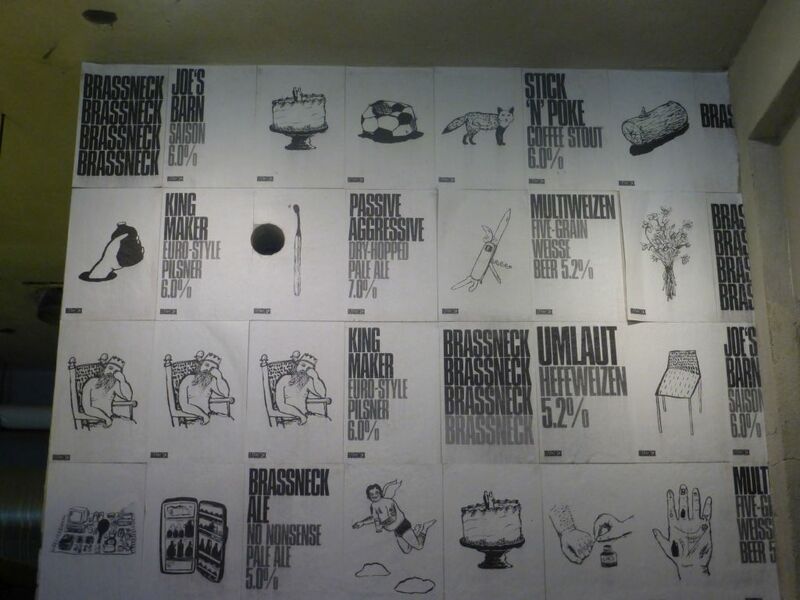 On the wall of the brewery is a photo listing beers that were brewed previously. Brassneck seems like it already has a big following and will continue to grow into a mainstay in the Vancouver beer scene as things move forward. For such a young brewery I had some impressive beers that suggested they know what flavors work and where people want things to go. 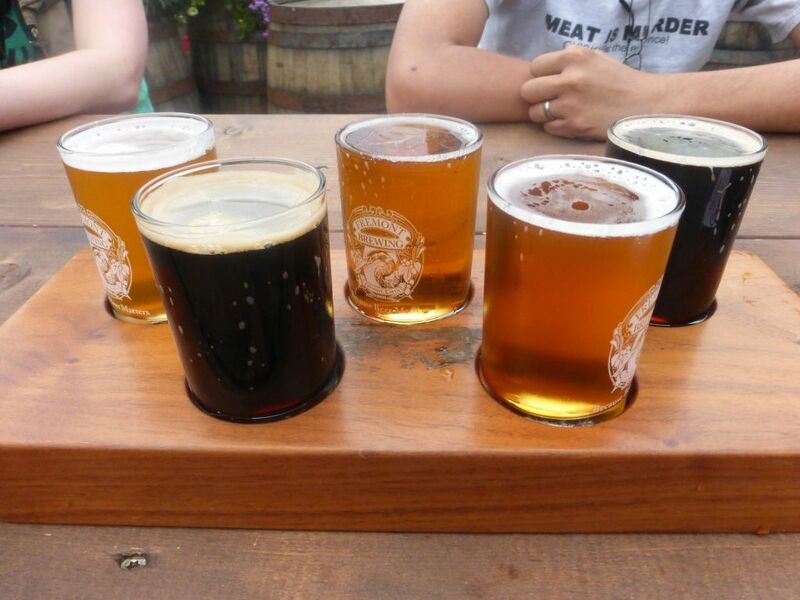 Thanks to a helpful fellow blogger, I got to visit five breweries in a row. One of the smaller ones was missing any of the regular IPAs so I only had a few small tasters there and will pass on reviewing it. 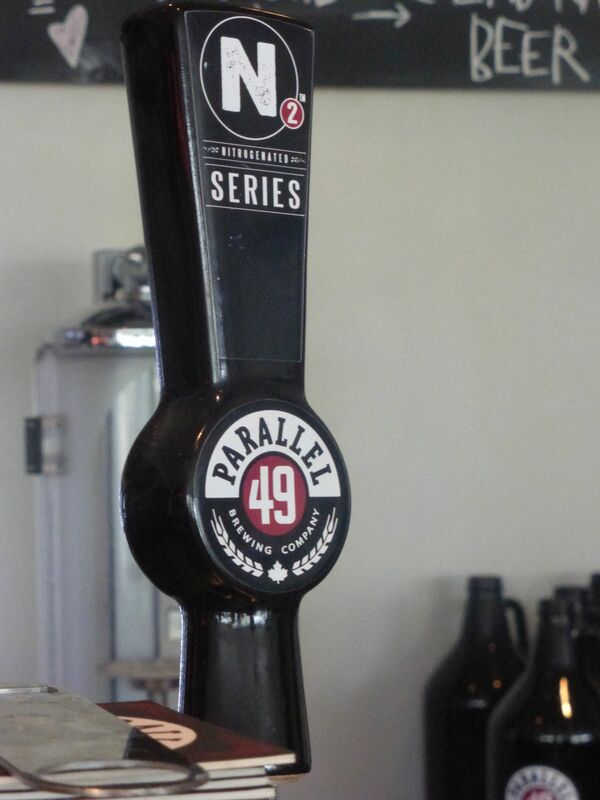 This post will review Parallel 49 and Bomber Brewing. The first Vancouver brewery I hit was Parallel 49. It was a small brewery with a small selection and I tried only a small number of the beers because we were planning on hitting multiple breweries. 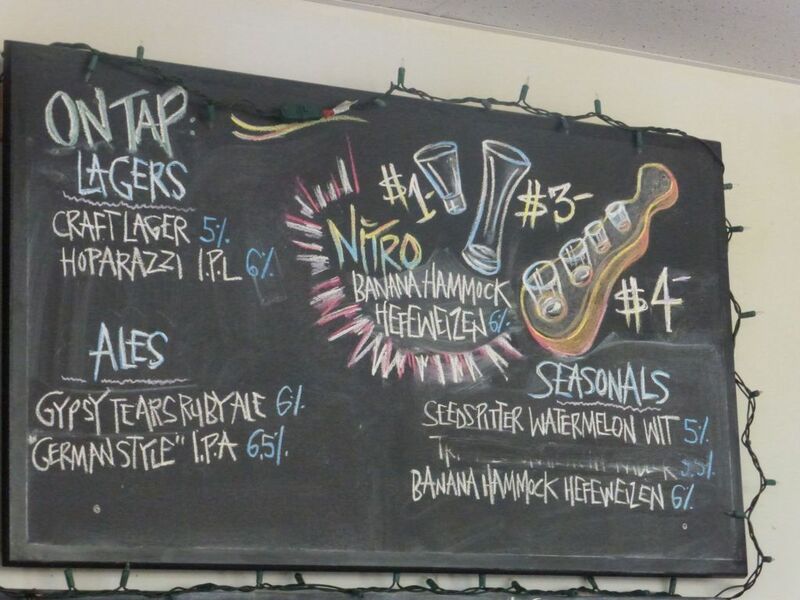 I tried the Ruby Ale, IPL, and German style IPA while I was there. The Ruby Ale was actually my favorite of the bunch. At 6% it had a surprisingly strong hop flavor with good pine and citrus flavors. Bread flavors of malts came through at the end to give it a nice finish. I think this had more hop flavors than the IPA. The IPL was a solid beer with good tropical fruit flavors and not overly bitter. It didn’t really grab me though. Finally, the IPA was all Munich malts. The malts pretty much dominated the beer as I tasted it, leaving hops to die in the background. Out of the three I much preferred the Ruby Ale and I can see why it is one of their top sellers. 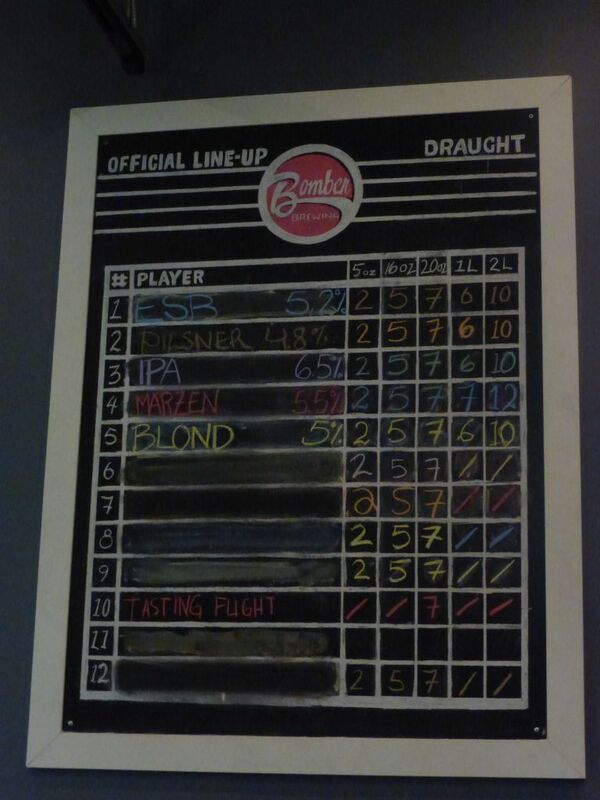 Another small brewery, I stopped by Bomber quickly for a few tasters. Here I only tried the ESB and the IPA before moving on to the next stop. The ESB was medium bitter and had a decent bite but didn’t really grab me. The IPA was nice as well with some good citrus flavor at the front and a sweet finish. Neither one inspired me to order a pint. I stopped by Fremont Brewing with my sister and my husband and we tried a small section of the available beers because it was still early in the day. 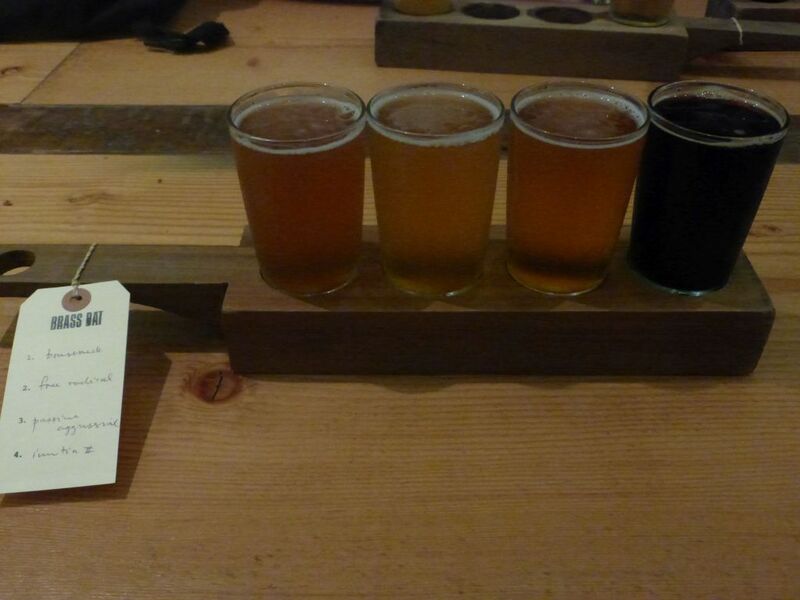 I tried the pale ale, IPA, porter, imperial oatmeal stout, and imperial IPA. The pale ale was quite surprising because it wasn’t particularly malty. Flavors of citrus and tropical fruit came out nicely. The IPA had some nice bright hop flavors. Mostly the hops came through as grapefruit and citrus flavors that dominated. The porter had some nice chocolate flavors with a good smooth finish from the oatmeal. 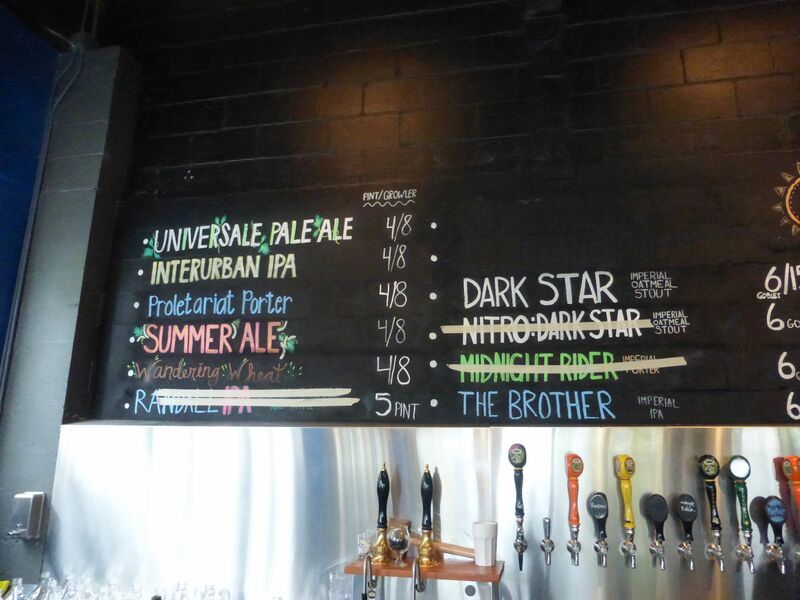 By contrast, the dark star imperial oatmeal stout was not for me. The majority of the flavors came forward in a more boozy taste that wasn’t particularly strong in either coffee or chocolate. I didn’t get much sense that this was an oatmeal stout either from the flavor. The imperial IPA had some seriously intense citrus flavors. This was the closest thing I tasted in Seattle to the San Diego style of double IPA that has become quite common. It had very little malt flavor at the back end. Fremont brewing is certainly worth stopping by for a visit so you can try the pale ale, IPA, porter, or double IPA depending on your tastes. They also had a nice large outdoor seating area with plenty of sun and shade options.